Are you on Twitter? Do you follow the #GCISDTech hashtag? If not, you might be missing out on lots of great tips, tricks and websites! There are a variety of internet resources that can help you find great technology ideas and resources. Blogs, Twitter and podcasts are just a few. Below are some of my favorites. Note: To make following a variety of blogs super easy, set up a Google Reader account. Note: Try TweetDeck to make Twitter more manageable! https://twitter.com/joevans - Posts a daily Scoopit online newspaper called iPads in Education. 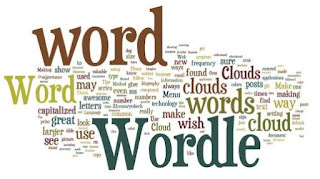 This a three-part series devoted to the use of Word Clouds in the classroom. You will find some new information… whether you are a seasoned user of word clouds, or brand new. GCISD Digital Classrooms- Apps to Get You Started! Apps to Get You Started!